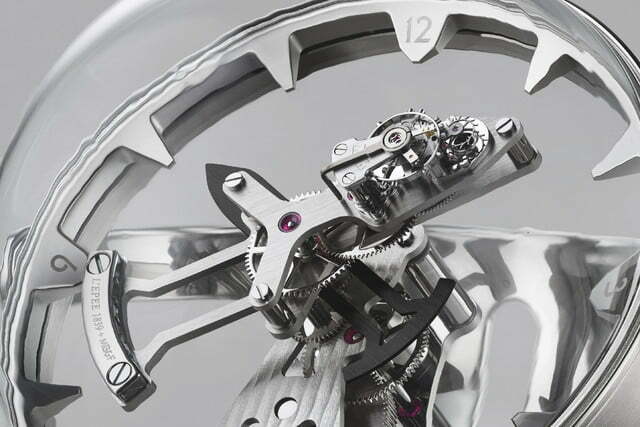 Are you on the lookout for an innovative timepiece, and worried that regular smartwatches are so 2016? 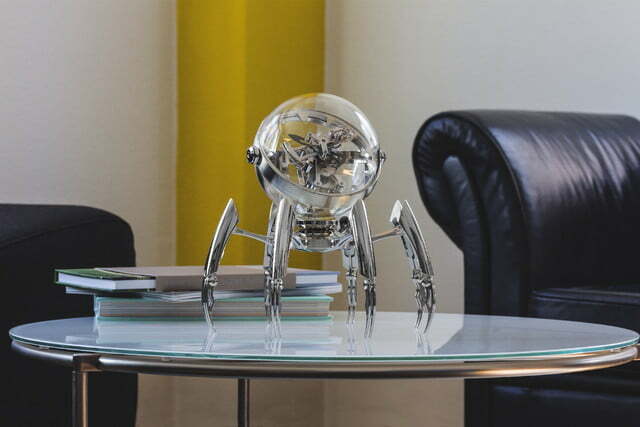 Have you ever dreamed of owning your own steampunk octopus? 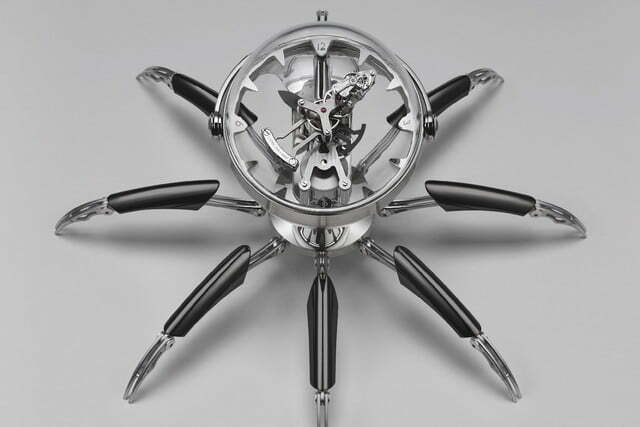 Thanks to the ingenuity of Swiss designers, you can now kill two birds with one stone by purchasing your very own Octopod, a luxury table clock that mounts the inner workings of a high-end mechanical clock on eight finely articulated legs. 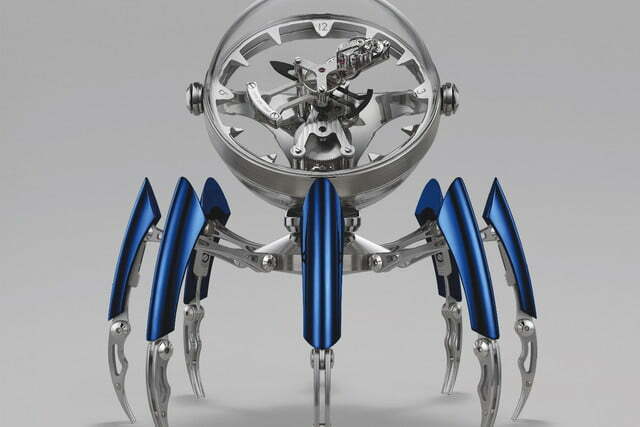 If you like what you see, first visit MB&F’s website for more information about the various retailers around the world. 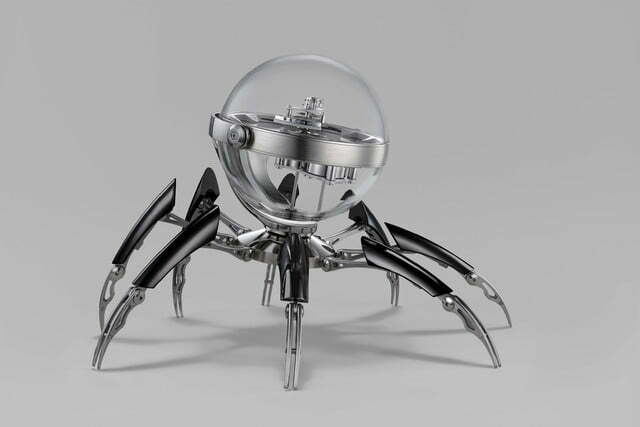 Then start planning how to justify to your significant other spending $36,200 on a mecha-octopus clock.